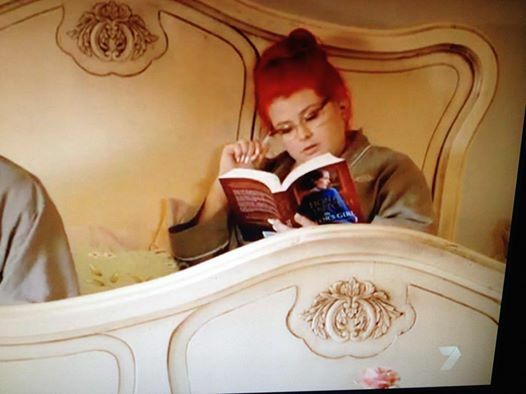 In case it’s not immediately obvious, it’s a character called Jenny from an Australian TV show, Winners and Losers, reading one of Fiona’s latest books, The Tailor’s Girl. Everyone who writes knows about the dream of sitting next to someone on a plane who’s reading your book. Well, I reckon this is a step up. I now have a new castle-in-the-air writing goal.